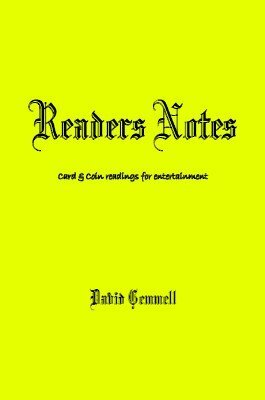 This ebook is aimed at giving psychic readings for entertainment using normal playing cards or coins which can be borrowed. We begin with a simple but effective card reading system that can be used in a very short time to give quite insightful readings. You are led through various advanced techniques which provide even greater depth and meaning for the client. The coin readings mostly follow an impromptu approach to the point of borrowing the coins used for the reading. This of course provides an almost perfect hook. We finish with an impromptu method for the I-Ching which once mastered (in a short time) can be done off the cuff. Novice and expert readers alike will find something of interest within this ebook. These notes were a private project to bring together knowledge and understanding from personnel experiences that David has had as a professional reader. They contain ideas that belong to (many) other experts in this field. Some have already seen the light of day, some have not. David has attempted bring together what has served him well. 1st edition 2009; 41 pages.